I’ve been around WordPress a long time and have seem many social sharing plugins out there. Many were good at first and then with time, they break and do not function as they used to because of lack of updates. Others are just fragile and do not work good from the start. 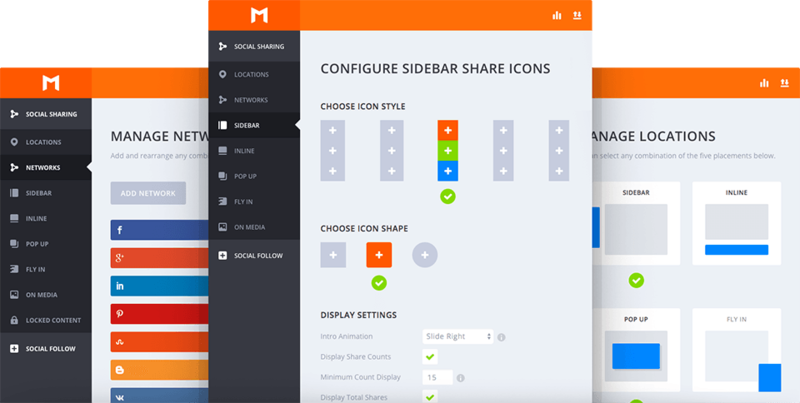 Today I want to share with you my favorite one, it is called Monarch, from ElegantThemes. This plugin is stable and because it comes to you from a paid membership, you can count on it to be updated and functional at all times. The options for placement of the sharing buttons are endless as well as customization settings. This is a beautiful set of buttons and I recommend it to everyone. It is not cheap but definitely dependable. The membership to ElegantThemes is $89 per year, and this gives you access to more than just this plugin. You will get access to 87 Premium WordPress themes and 6 Premium plugins.